Clinicians equipped with essential medicines and supplies to treat displaced residents. Hurricane Florence has dumped more than 35 inches of rain on some parts of North Carolina, and the true impacts of the storm are just beginning to come into focus. Direct Relief staff have been traveling across the state, assessing the health needs of local clinics and health centers. 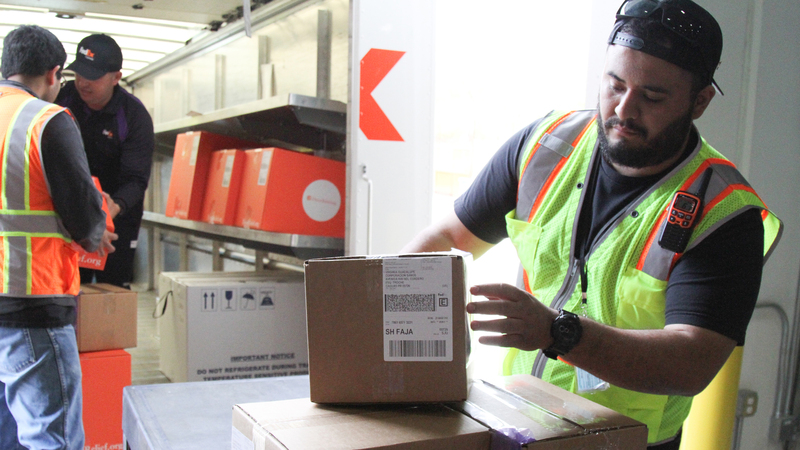 As a result, more than a dozen shipments of specifically requested medical aid to meet those needs have left Direct Relief’s warehouse to date. With many people still evacuated from their homes, many health centers and clinics are expanding beyond clinic walls to provide care in shelters that are housing evacuees. On Tuesday, Direct Relief staff delivered two Emergency Medical Backpacks to staff at Goshen Medical Center in Faison, North Carolina. Those packs will be used this week as clinic staff travel to Lumberton, a town which was severely impacted by heavy rains. Much of the town saw record amounts of rainfall, and the Lumber River is threatening to break a nearby dam, which could cause even more flooding and destruction to the area. Goshen Medical Center staff will be driving a mobile medical unit to the town to offer care. Direct Relief purchased the unit for the health center during Hurricane Matthew, and now it will be used during this storm. Another clinic is also using a mobile health unit to reach out to patients. Staff at CommWell Health have been treating patients at their Salenburg location, as well as with their mobile health unit. 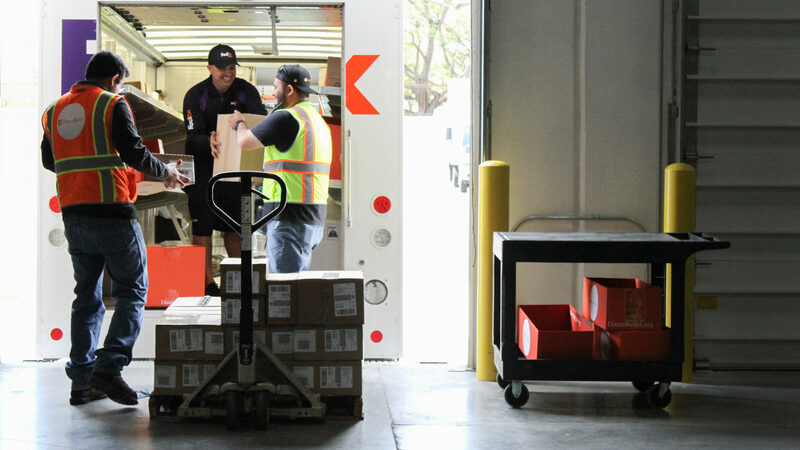 To equip these efforts, Direct Relief shipped five Emergency Medical Backpacks, an Emergency Health Kit, and personal hygiene items for evacuees. 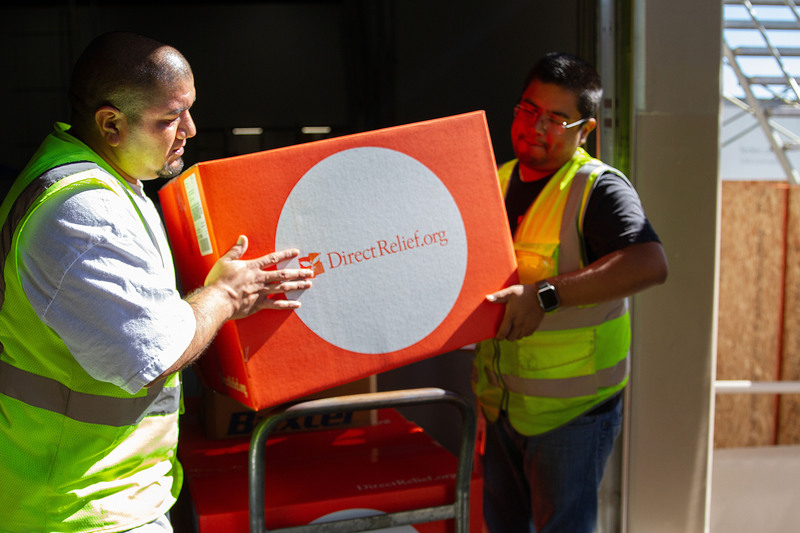 Direct Relief has also shipped medical aid to clinics and health centers in the communities of Snow Hill, Charlotte, Mooresville, Raleigh, Pineville, and Charlotte today, and will continue to ship requested aid.